OPB reported that the Portland City Council voted to refer a $258 million bond measure for affordable housing to the voters in November. If approved, the measure would create 1,300 housing units, at a cost of $75 a year in taxes for the typical homeowner. Portland Shoupistas asked if the Portland City Council suppressed the supply of housing in 2013 when in many areas of the city it added minimum parking requirements for buildings with more than 30 units. This Wednesday the City Council will consider zoning changes related to parking in Northwest Portland. Members of the NW Parking Stakeholder Advisory Committee are likely to request that the City Council extend the minimum parking requirements into the Northwest District. A historic synagogue at 3225 SW Barbur Blvd could be threatened by new development, according to the Willamette Week. The distinctive dome of Ahavath Achim was designed by noted mid-century architect John Storrs. A recent Early Assistance application was received by the City for a 30-unit apartment complex on the site. 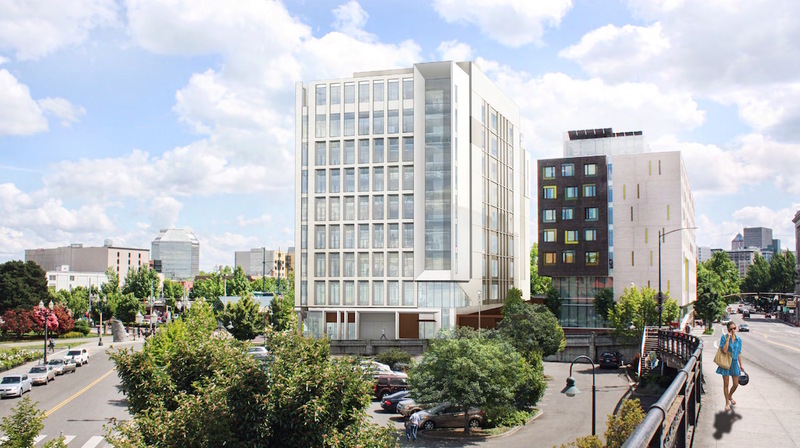 The Business Tribune wrote about 1510 NE Multnomah, the 677 unit development by Holst Architecture, planned for the parking lot of the Regal Lloyd Center 10 & IMAX. The project had its first Design Review hearing on June 30th. The Portland City Council voted to approve a policy that will make closing sidewalks and bike lanes a “last resort” during construction projects. A groundbreaking ceremony was held for the Broadway Tower, according to the Portland Business Journal. The Portland Chronicle covered the demolition of the Oregonians Credit Union building, which was formerly located on the site. The City has fired the contractor that was developing ITAP, the new permitting software for the Bureau of Development Services. Despite spending $3.9 million on the project to date, the software is years behind schedule and nowhere near complete. Next City asked if National Treasure designation will save Veterans Memorial Coliseum? 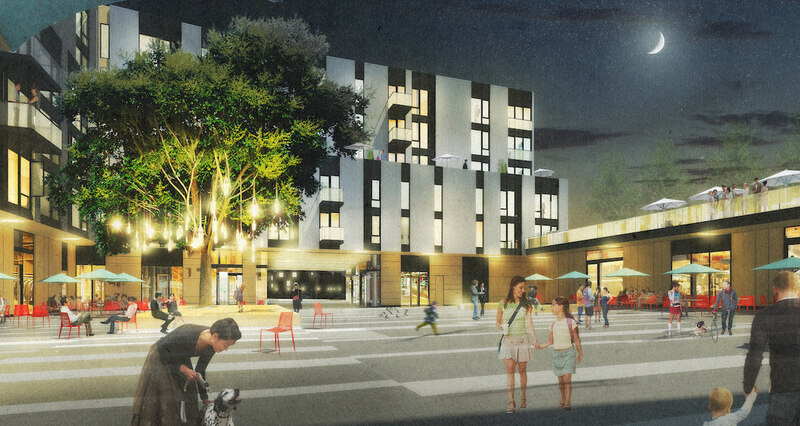 New mixed-use building containing ground floor retail, office and apartments with height of 200 ft and FAR of approx 370,000 sq ft.
New 25-unit, 5-story, full sprinklered, wood-framed apartment building with flow-through planter at east side of property. No parking included. Will use Community Design Standards. Proposal is for re-development of an existing restuarant building and construction of a new drive-thru Carl’s Jr restaurant. 30 unit 2 Buildings, Apartments (Demo Existing Structure); using density bonuses. On-site Stormwater, on site Stormwater. Questions regarding existing overlapping easements. 6-story, 58 residential unit building. Ground floor parking is proposed. A 7.5 foot pedestrian path is proposed along the north property line. Proposal is for a new development of a five level 8 unit residential structure. Four units and common uses on ground level. Four full floor flats above. No on-site parking. Applicant is planning on following community design standards. Proposed project is a 5-story apartment building with 88+ residential apartments. Ground level surface parking will be provided, as well as secure bike room. Will go through design review instead of meeting community design standards.